So the 2012 NBA Draft Lottery was tonight, and as most already know the NBA, er, the New Orleans Hornets, got the first overall pick. There are any number of conspiracy theories surrounding them getting this pick, and while they probably have no actual merit, it's pretty fun to discuss and entirely impossible to discount (especially since David Stern is a straight gangster). It is certainly fishy that Tom Benson all-of-a-sudden increased his offer for the team (on the heels of Bountygate, no less) and was then "rewarded" with the #1 pick less than a month later. In order for all of us to continue to root for the sport and believe that it has some small semblance of integrity, we have to trust that all of this is coincidence, but I mean, come on, really? 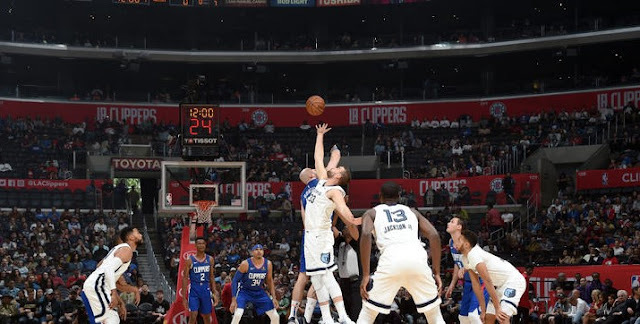 On the plus side, at least Golden State didn't get a top-3 pick, which would have been a complete travesty after their unconscionable display of tanking in the 2nd half of last season. I am upset enough that the basketball gods didn't take away their lottery pick (which was only top-7 protected) because no one jumped them into the top 3, but if they had gotten a blue-chipper out of the deal, I might have just given up hope. At least they'll blow whatever pick they do make, as is their custom. 1. 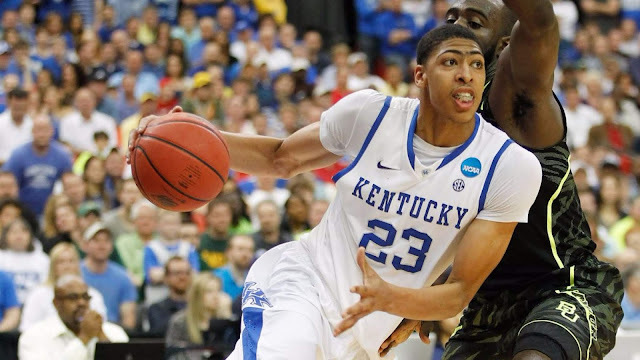 New Orleans Hornets: Anthony Davis, C/PF, Kentucky. Not much to discuss in terms of the pick here, of course. The most interesting facet to this is how they treat Eric Gordon (and how he treats NO) this summer. He is a restricted free agent, and the rumor is that Indy will throw a hefty offer his way. Given the newfound Uni-hope that the Hornets have, it certainly seems like they will be much more willing to match an offer and keep an interesting, young 1-2 punch together, especially if Benson is amenable to dropping some cash on his new, less controversial toy. The Hornets don't have a ton of other talent around those two, but they can potentially get a nice player at #10 as well (more on that to come) and turn competitive quicker than anyone would have thought a couple hours ago. There's no need to over-analyze how huge this is for them. They nabbed the only can't-miss star of the draft, and you can't overstate how important that is. Good for them, even if it was payola from David Stern. This isn't necessarily the unmitigated disaster for MJ and the Bobs that it's being made out to be by the reactionary media. It's not good that they didn't land the 'Brow, of course, but you're only getting that pick 1 out of 4 times anyway, so having a contingency plan isn't the worst idea. With that in mind, you could probably do worse at #2 than MKG (Hasheem Thabeet comes to mind). This pick is by no means a lock, mostly because MKG is one of those guys that critics love to rip up for the things he can't do as opposed to focusing on the things he does very well. He is extremely athletic, he has the ability and desire to be a lock-down defender at the NBA level, and most of all, he has won at every level he's played. He can't help but make Charlotte better, partly because they can't be any worse, but mostly because he will be a team leader and will make other guys better and won't allow them to continue to fail. I see him as being at least comparable to Andre Iguodala, meaning he may not be a franchise player, but he will certainly be very valuable to a contending team if you can team him with a franchise player (and Charlotte will likely have some more lottery chances if they don't foolishly trade picks). Whether he'll stay in Charlotte long enough for them to be that contending team remains to be seen. I live in the DC area, and I've seen more of the Wizards than most sane people would care to admit. They clearly have a lot of needs, but I think that Beal is a nice fit with the players that they have. You can quibble with the price tag of Nene, but he adds a great element to their team that they didn't have prior to that trade (namely, defensive intensity, basketball IQ, and post scoring ability). They were, by all measures, a better team after the trade (when Nene was healthy and on the floor) than they were before it. With that said, I think that adding Beal to the core of Wall and Nene will make them competitive quicker than many think. Beal has a lot of Eric Gordon in him, and I think he's a little bigger than people realize. Hopefully he can be a strong wing defender and thus relegate Jordan Crawford to a bench energizer type of role (which suits his skill set better than starting anyway). Beal has the look of a strong NBA player and could turn into a star. With the other key pieces they have, along with some fairly high-upside role players (Trevor Booker, Jan Vesely, Chris Singleton, Kevin Seraphin), the Wiz look like an up-and-coming team - with probably one more fairly high lottery pick still to come before they jump into the playoff picture. I hear that Cleveland likes Harrison Barnes here, but I think they might go with Drummond because it's a calculated gamble. Look at it this way: if your two best players are Kyrie Irving (likely an eventual All-Star) and Harrison Barnes (who I see being no better than, say, Danny Granger), can you win a title? No way. However, if you take the chance and combine Irving with Drummond (who, if everything breaks right, could be a dominant center), you make the ceiling of your team much, much higher. You can bring him along slowly with Varejao already on board, and maybe Byron Scott can bring the best out of him. By the way, I don't really believe any of this, but I'm pretty sure that Drummond will have some incredible workouts and dupe some foolish team into drafting him top-5. Good luck with that, Cleveland. The best player left on the board, fills a need for them (Jason Thompson clearly isn't a long-term starter), and gives them a good presence and winning attitude that they need to counteract the Cousins/Evans combo of crazy. If Robinson "stays in his lane" and doesn't try to do too much, his strength, athleticism, and natural ability will make him an excellent NBA player (think a rich man's Paul Millsap). This pick makes a ton of sense and Sacramento better be smart enough to realize it if he falls to them. Harrison Barnes is still available here, but he doesn't really fit with Portland (since they are going to build around Nicolas Batum), and they could use a quality PG (as Felton has just been too inconsistent to rely on). There are no big men in this range that make sense, and they have another pick coming, so Lillard makes sense here. Let's move on. This seems about right. I don't feel that Barnes is going to be a star at all in the league, but he could be solid, and on a team that has some talent around him, he could be a nice player. Dorell Wright is not a long-term solution, and Barnes certainly represents an upgrade. He gives you the best ratio of "likely starter : least likely bust" remaining on the board, so it makes sense to go this route, which clearly means that the semi-retarded Warriors will do the exact opposite. The soft-as-marshmallow Raptors could use some toughness and scoring on the interior, and Sullinger could provide that. There is a lot of debate about his upside in the league (given his somewhat limited athleticism), but I've found that guys who can rebound and have good footwork and touch around the rim typically find a nice niche. I don't know if he'll ever be a star, but a poor man's Zach Randolph (without all the headaches) isn't out of the realm of possibility. He's already more NBA-ready than Ed Davis, that's for sure. Detroit could use a big body that can defend and block shots, and it looks like Leonard is starting to rise up the draft boards of a lot of GM's, despite the distinct possibility that he may be a big white stiff. More of a hunch here than anything, especially with better talent still on the board. If we're making the assumption that Eric Gordon will stay in the Crescent City to team up with the 'Brow, then there aren't a lot of great options here for New Orleans. I think that Jones will end up as more of a SF than a big in the NBA, so this could be a good fit with Davis and Gordon. If he can be a third option, he might adjust to NBA life more easily and develop the kind of game he's capable of. As with Drummond, I don't really believe any of this, but it sure is fun to speculate. Portland needs a big, and this seems to be about the right range for Zeller. He'll never be a star, but he's solid, works hard, and will be a nice complement to LaMarcus Aldridge. A good rotation pick. They can use a shot-blocking big to replace Bogut, and Henson fits the bill. There is talk that he's a tweener, but I don't see it. He is crazy-long and will get stronger, and has the look of a starting PF in the league to me. Good pick here. Fantastic pick if he's still left here. There is some definite star potential with this guy if he can get his head on straight. He'll get plenty of opportunities in Phoenix to tap that potential. 14. Houston Rockets: Arnett Moultrie, C/PF, Mississippi St.
Another need pick. A big, physical, talented guy is something they could use. Another guy without a lot of star potential, but a possible contributor at a spot where it's hard to guarantee anything.